Saving you a trip to YouTube a couple of Delta boys give a tutorial on how to do the Blues up right! The Judge ruled that it wasn't a "hate" crime! Okay, who won et cetera! Let the games begin I'll start. Mr. Webb is a very intensely confused man. He was like a deer who actively seeks out some headlights to get that look on. Art James can comment on my blog anytime. Art James has been a friend on Open and Our for years. He chooses to plant subliminally in prose his stances, positions, ideas etc. intimating his thought so that the target is not embarrassed or so that the wrong people don't get it but only his target can infer the message. Lately the "Lord of the Flies" wannabe's around here are picking on him. He is worth a dozen of most of the other posters here. Try picking on me instead. The shooter in this afternoons incident leaving 10 dead was lining people up and asking them if they were Christian. If not or if no reaction they were shot in the leg. You can't tell me that Christians aren't under attack. This isn't an isolated incident, just last month we had the Church in Charleston attack ad infinitum. It has long been a truism that a picture may tell a thousand words and this one speaks volumes. 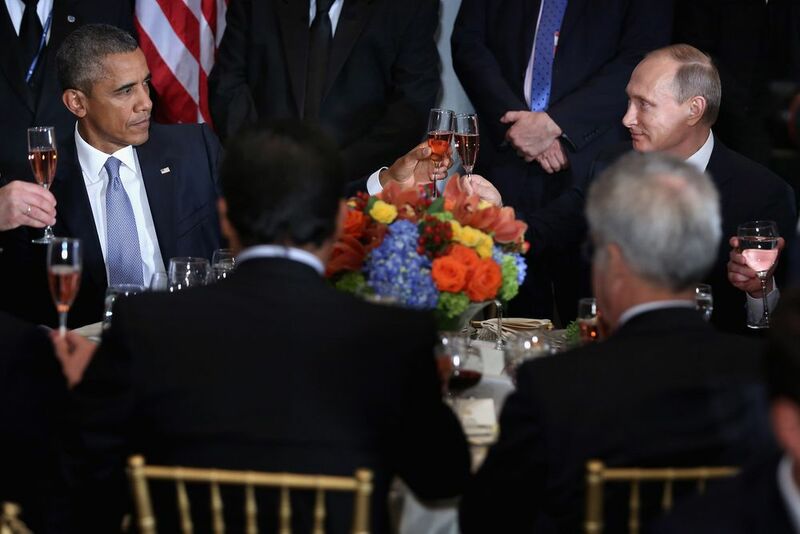 President Obama and Pootie of Pootie and the Pirates infamy meet for a meal before the summit begins. The Ashley Madison scandal data has been graphed by researchers by states and the results are (at least to me) incredibly surprising. (Spoiler alert here) Alabama was number one and West Virginia the state I want my next girlfriend to be from. What is Donald Trump hiding behind his comb-over? What is Trump hiding behind his comb-over? I mean a good hair-piece (which he could well afford) would serve him better unless of course one might think that he had something on his forehead that he wanted to hide. "We don't need a President with an exclamation point, we need one with a period!"